A marker at Rainbow's End Natural Cemetery in Orrington. UNITY, Maine — Three years ago, Nancy Rosalie’s dear friend was dying and was unsure of what she wanted to have happen to her body after she died. The woman, a farmer, originally wanted to be cremated but did some research and decided that option ultimately wasn’t for her. And so that is what happened. The woman died, and her friends made her a simple pine coffin and buried her in it in a patch of land on the farm. 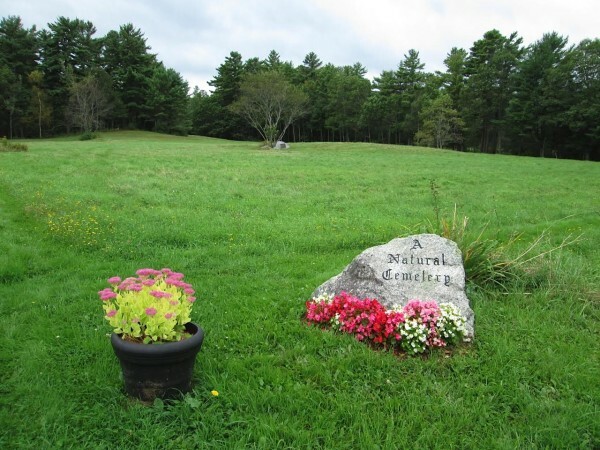 Green, or natural, burials such as that one simply make sense to the Unity homesteader and to a growing number of other people in Maine and elsewhere. 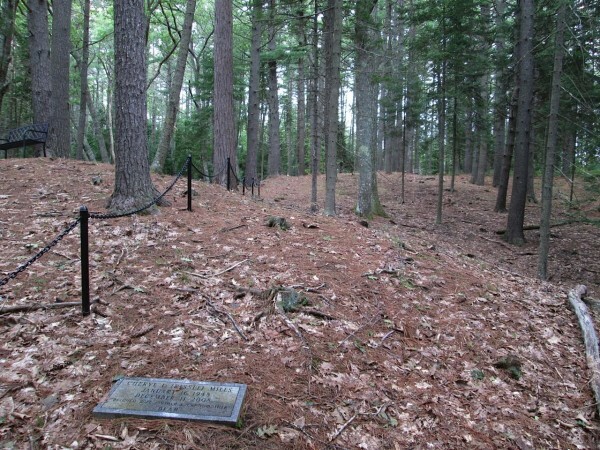 In the Pine Tree State, there are two privately run “green” cemeteries: the Rainbow’s End Natural Cemetery in Orrington, overlooking the Penobscot River, and Cedar Brook Burial Ground, set amid the forests of Limington. Now a couple of Waldo County women are working to locate a place for a green cemetery in their area, and several people in Belfast are wondering whether their city would be a good place for the state’s first municipally run green cemetery. Alison Rector of Monroe and Helen Sahadi of Thorndike said they want to make the option of green burials available to more people. According to the Green Burial Council, the California-based nonprofit organization working to encourage environmentally sustainable death care, green burials were common practice long ago but the modern green burial movement is relatively new. A green burial is one that incorporates environmentally sustainable practices, doesn’t try to inhibit decomposition and doesn’t introduce toxic elements into the environment. Such burials would prohibit the use of an outer burial container or vault, prohibit toxic chemicals used in embalming and include any burial container made of a sustainable material, such as paper, fabric or wood. They also can be much less expensive than a traditional funeral, which has an average cost of $7,000, Rector said. Sahadi did a survey of all the cemeteries in Waldo County that have available plots. She found that while several communities said there was no possibility of a green cemetery in their towns, officials in Belfast and Monroe said they would consider it. Councilors talked about the idea — though took no action on it — at a regular meeting in mid-December. Cemetery Superintendent Steve Boguen told city officials then that there is not adequate room for a green cemetery at any of Belfast’s existing cemeteries. Several councilors wondered whether Belfast may be able to use a different piece of city-owned land for such a cemetery. Harkness also wondered whether a private landowner may decide to use his or her own property for a green cemetery as a commercial enterprise. Boguen also told the council that burial trends in Belfast have changed a lot in recent decades. The council has asked for more information and is expected to revisit the topic in the future. Belfast City Councilor Mike Hurley told the BDN he expects the aging of the baby boomer generation to change funeral practices even more. Rector, an active volunteer with the Funeral Consumers Alliance of Maine, said she has started to check out natural burial areas while traveling. Some look like meadows and others have a more traditional appearance, including simple stone markers. She feels a green cemetery would fit right in for Waldo County.